In today's Between the Lines I consider the joy of multi-genre reading. They say variety is the spice of life. Has that become a cliché? Maybe. But that doesn’t mean it’s not true. I certainly appreciate diversity, and nowhere more so than in my reading. However, that wasn’t always the case. In my early teens, I had a thing for horror. It started with the Point Horror series, and then I moved on to the likes of Stephen King. By my mid teens, I had done a full one-eighty and switched to the classics, reading nothing but nineteenth-century fiction for several years. It did help that our local discount bookstore offered six Penguin classics for five pounds at the time, which meant I could read a lot on a tight budget. The monetary factor may well have helped sway my decision; although, I also found those classic novels highly enjoyable, as well as the fact that, in reading them, I could think of myself as highly cultured and literate, in a way that makes me laugh when I look back on it now. First off, I should say that, in some ways, I can understand when people declare they only want to read one genre. I’ve been there. I know the allure of the familiar and beloved. Nevertheless, hearing it always makes me a little sad for that reader, and make me feel lucky to have pulled myself out of that mindset. Don’t get me wrong; in no way am I suggesting people shouldn’t be allowed to read whatever makes them happy. But I do think it’s a shame when readers are so rigid in their refusal to step outside their favourite genre that they miss out on many other wonderful works of literature. To my mind, you can deride such great benefit from dipping into a wide range of styles and genres. To begin with, it’s much easier to avoid reading slumps that way. 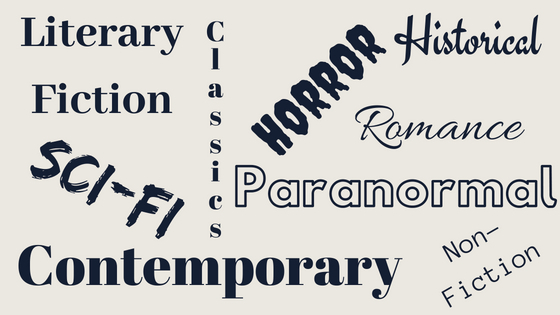 If all the paranormal romances are starting to blur into one, grab a non-fiction book for a change. Just taking a break with something completely different for a week or two will make your next paranormal romance seem all the better. Secondly, varied reading helps broaden your horizons. It’s a chance to learn about other cultures and immerse yourself in diverse characters and situations, perhaps even a few that make you see a familiar issue from another, previously unconsidered, point of view. It sparks empathy, respect, and understanding. Thirdly, as a writer, I find it imperative to read widely and absorb different literary styles and techniques. 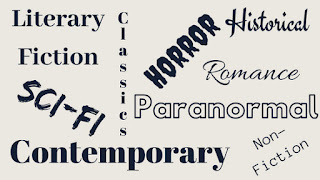 Yes, you want to read the genre you write, in order to keep up with the latest trends and developments, but you don’t have to read those books exclusively. In fact, you may find wonderful, original ideas for your stories by moving out of your comfort zone and trying something new. The older I get, the more I love diversity. I seek that variety from a desire for deeper emotional fulfilment, to satisfy my evolving knowledge, and to challenge my intellect and beliefs. It also keeps me on my toes, staving off both boredom and reticence. There’s nothing I like better than to leap from fiction to non-fiction and from classics to speculative tales. Doing so keeps my brain and, most importantly, my imagination firing. Are you a polygenre reader? If so, what do you enjoy most about that approach? If you’re a single-genre reader, what makes you stick solely to that genre, and what would it take to encourage you to branch out?